What You’ll Love: With a sun-drenched deck and a handful of cool grey recliners, finding a comfortable spot to sunbathe at Villa Turquoise is a cinch. White sun umbrellas dotting across the deck ensure that you’ll easily find shade from the sun during the hottest hours of the day. Oh, and the deck faces the sea too – which means that your sunbathing session comes with views of clear blue skies and ocean blues. What You’ll Love: Are you one who can’t do without your daily laps? 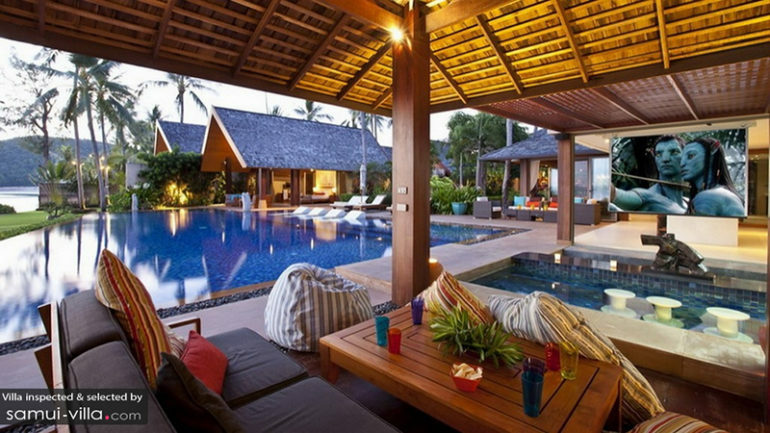 You’ll need a villa that offers not one, but two sparkling pools then. 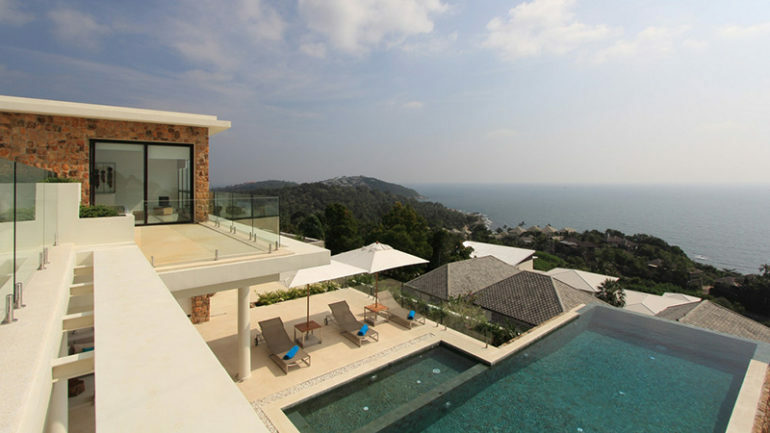 So what if the second pool at Baan Kilee isn’t one that’s suitable for taking laps? This doesn’t matter; you’ll only need it as a backup pool to chase fellow guests away to, when you want that main swimming pool all to yourself for your daily swimming routine. 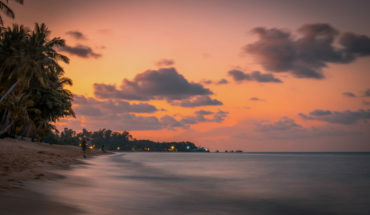 What You’ll Love: With a well-landscaped garden, detailed oriental art works and an in-house chef capable of cooking up a storm of international fare, Baan Wanora gives vacation makers plenty of reasons to fall in love with its amenities. But there’s only one criteria that beach lovers will consider, and that is: how far is the villa located away from the beach? 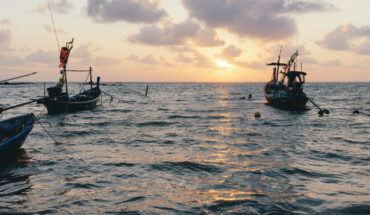 We say: at Baan Wanora, the sandy coasts are just a short walk away. The beach lovers will be well-pleased, don’t you think? What You’ll Love: Just as its name suggests, Villa Nirvana is a paradisiacal retreat built to send its guests into a state of utter bliss. Here’s what to expect: spectacular sea views, a spacious pool deck, plush interiors, fautless service and scenic surroundings. Make full use of the gorgeous spa room – coloured in rich hues and adorned with Buddha wall pieces and statues – by calling in the professional therapists from SPA Lamai to your villa. What You’ll Love: To throw a successful pool party, you’ll need the following: a glistening pool (duh), plentiful loungers, a roomy pool deck and a poolside gazebo. Villa Sur La Mer provides all of these facilities, and more – this ocean-facing pool deck comes with breahtaking sea views, verdant greenery and tropical breezes too. 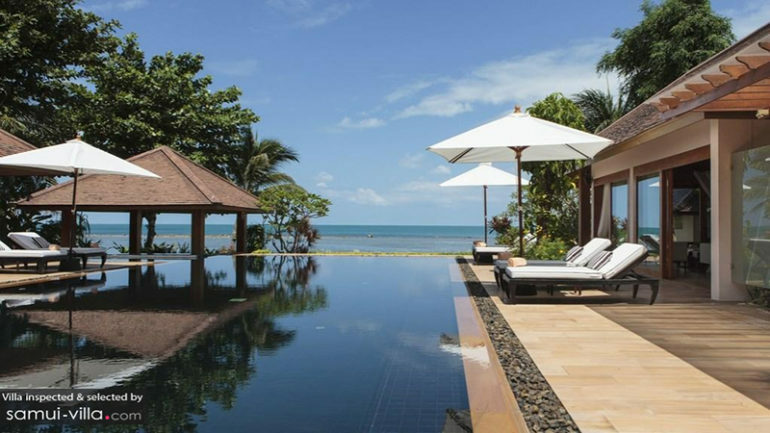 What You’ll Love: There’re countless of beautiful villas peppering the island, but only a few will impress – and Villa Kalyana is one of these rare gems. 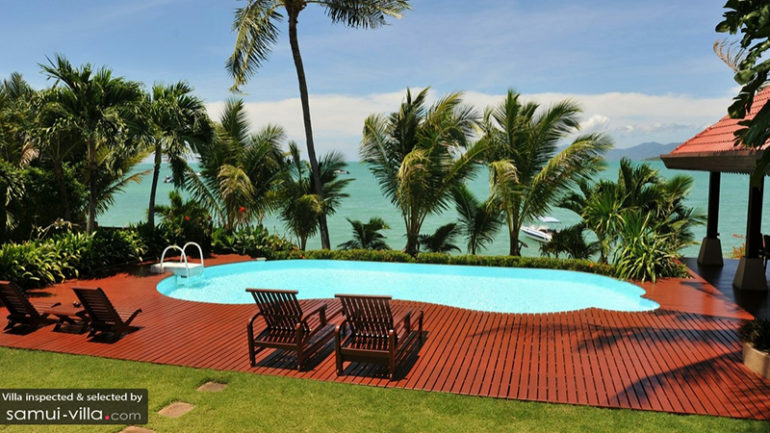 If you took all the best perks that a vacation rental could have, and placed them all in one villa, it’ll look just like Villa Kalyana. Here’s what you can look forward to: a lush garden dotted with swaying palms, a free form swimming pool, ocean views, swinging hammocks, finely-appointed interiors, indoor/ outdoor en suites, and a 150 year-old wooden pavilion. The villa provides a good selection of dining spots too, ranging from a Bedouin outdoor terrace or pool deck, to the golden shores of the beach – just perfect for extroverted hosts with a love for throwing dinner parties. 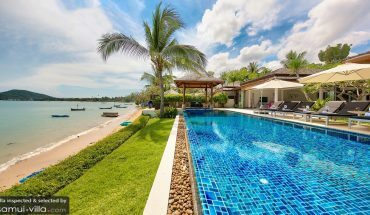 What You’ll Love: Cupid picked Baan Kilee as the perfect villa for avid swimmers, but this versatile villa also ticks all the right boxes when it comes to being a family-friendly retreat. Need a reason or two? We’ve got plenty; your little ones will fall in love with the villa’s child-friendly pool, wooden playground, family sea kayak, cosy indoor cinema and comfy kids bedroom. What You’ll Love: Whether you want to hold your own wedding abroad, or are keen to plan a loved one’s destination wedding, the first thing you’ll need to do is to keep an eye out for wedding-perfect venues like Ama Lur Villa. Spacious outdoor grounds, an ocean-front infinity pool, direct beach access, tasteful interiors and bedrooms to accommodate ten guests – you’ll find them all at this enviable villa. Make a reservation quick – there aren’t many vacation rentals made like this!